April 26, 2012 by Ken Ward Jr.
… Many technologies with great potential for energy and emissions savings are making halting progress at best. Carbon capture and storage (CCS) is not seeing the necessary rates of investment to develop full-scale demonstration projects, and nearly half of new coal-fired power plants are still being built with inefficient technology. Economists have been working to quantify these social costs for some time: from the premature deaths due to air pollution to the damage wrought by the Deepwater Horizon oil spill in the Gulf Coast. Yet rarely has anyone tried to tally them up in a comprehensive fashion. Which is what makes this new paper from Michael Greenstone and Adam Looney of the Hamilton Project so valuable. The two economists sift through all of these economic papers and try to calculate what the price of various energy sources would actually look like if these external social costs were included. Whether by heating our homes in winter, keeping the lights on in our of½ces, powering factories that manufacture goods, or fueling our automobiles, energy drives our economy and supports our quality of life. Thanks in part to an economic infrastructure heavily dependent on energy use–roads and highways, ports and railways, broadband and computer networks, manufacturing plants and shipping facilities–American workers and businesses are among the most productive in the world and the most globally integrated. A century of innovation, fueled by cheap and plentiful energy largely from coal, oil, and natural gas, has allowed the nation to transition from an agriculture-based economy to one based on high-value-added manufacturing and services aided by computerization. Our standard of living–among the highest on earth–would not be possible without energy and the systems that have been developed to harness it. Unfortunately, the sources of energy that we have grown to rely on are more expensive than we once thought. The true cost of energy includes the price we pay at the gas pump or what shows up on the electric bill–known as the “private costs”–and also the less obvious impact of energy use on health, the environment, and national security. Economists refer to these additional damages as negative externalities, or “external costs.” A more holistic accounting of the total costs of energy consumption that includes both the private and external costs is known as the social cost of energy use. Recent events like the Deepwater Horizon oil spill, the death of twenty-nine West Virginia coal miners in the worst mining disaster in twenty-½ve years, and the crisis at Japan’s Fukushima Daiichi Nuclear Power Plant are salient examples of the health and environmental costs, and economic risks, of our current energy sources. While these tragic disasters are the most obvious symbols of these costs, they are by no means the largest. A fundamental change in our energy policy will not be easy and will come with costs, with some industries and regions in the U.S. economy being more affected than others. This is because U.S. households and businesses have made decisions based on the expectation of access to energy sources with relatively low private costs. One solution is to offer compensation to those that are harmed. On net, however, the recognition of the full costs of our energy choices would deliver healthier and longer lives, an improved environment, and greater national security. This isn’t politics. It’s not hot rhetoric. It’s just clear-eyed analysis of the situation we find ourselves in. If any elected officials actually read it, I’ll offer space here on Coal Tattoo for their responses. Another thing that would be useful is taking the time to watch EARTH: The Operators’ Manual (http://www.pbs.org/programs/earth-the-operators-manual/). Richard Alley not only explains many of the issues about energy and the environment clearly, he also has a very sensible point of view about the availability of a wide range of technologies which facilitate a sensible mix of energy sources without continuing to endanger the long term economy by using more and more fossil fuels in the name of keeping a few mines and oil companies in business. In a free market this “cheap energy” simply would not exist. Only the conservative nanny state makes it happen. We spend each day. The question is where should we direct these resources. Let me suggest a simple way to do this. Tax the bad ( unhealthy products: soda, dirty coal and oil, smokes, income inequality from rent seeking, etc.) that have shifted costs to the public and subsidize the good (healthy products and environments, innovation, human capital, etc,) that improve human welfare. And who decides the bad and good to tax? Again letting politicians pick winners and losers. One week we tax coffee because it is bad, next week we decide it is good. Dell, our elected leaders (and people) decide what is “good” and “bad” every single day. You are already deciding My suggestion is to ask whether the activity improves human development (health, quality of life, edu attainment, ect. ) or it shifts costs onto others and hurts human development ( mortgage default swaps, carbon, windfall profits, ect.). Examples would be a carbon tax, Finacial transaction tax, buffet rule, soda tax, etc. That said, Dell, I do agree I’m being overly simplistic with the “tax the bad, subsidize the good.” it’s just a guide post, not a monolithic rule (I am sure there are a lot of excemptions ). Another factor here is inequality. 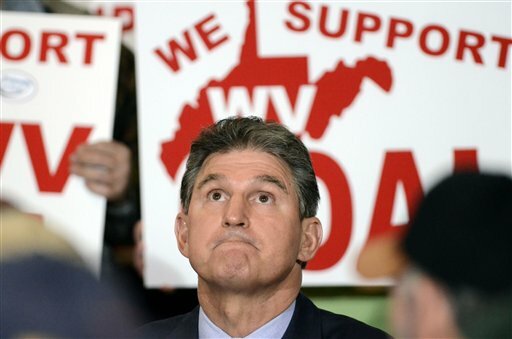 As we in West Virginia well know the heavier part of the costs are paid by those who are distantly separated from those who gain the profits.